AFD China Intellectual Property Law Office is a privately owned leading IP law firm based in Beijing, China, with a client-supporting team in Maryland, United States. Since its founding in 2002, AFD has provided premium services to clients around the world in all areas of IP law – including patents, trademarks, copyrights and domain names – and other legal areas in China. AFD also works with an established network of leading IP firms in other regions of the world to assist Chinese companies in filing and prosecuting patent and trademark applications, and enforcing their IP rights abroad. AFD has over 150 professional IP practitioners. They work closely as a team by leveraging diversified skills and talents to address complex and challenging IP issues in cost-effective ways. Some of them are former examiners or law lecturers in colleges, while many have studied or worked abroad. They stay up to date with the latest changes in their respective areas of IP practice. As well as being trained through official programmes at the beginning of their careers, AFD professionals are required to pursue professional improvement via online courses, internal seminars and training programmes provided by industrial organisations. AFD has served over 1,000 clients of every size in a wide variety of industries – from individual inventors and major educational institutions to several of the world’s largest companies. Over the years, it has established and maintained many excellent working relationships with in-house counsel. AFD takes time to understand clients’ requirements precisely and act accordingly. It has demonstrated flexibility and experience in adapting to any kind of customised protocol and procedure, as required by clients. Reflected by the Chinese name of the firm, AFD adheres to the fundamental value of faith – an operating Confucian principle which is the cornerstone of traditional Chinese culture. AFD treats clients with respect and integrity, cares about their wants, provides honest and reliable service and strives for clients’ ultimate trust, in the hope of becoming a resourceful partner and growing together with clients. AFD is consistently recommended as a top-tier Chinese patent and trademark law firm by the IAM Patent 1000, Managing Intellectual Property, Asia IP and the Legal 500. The firm has also been recognised by the local IP office, IP attorneys association and other organisations. One of AFD’s patent litigation cases was promulgated as an exemplary IP rights protection case by the Beijing Higher Court. By maintaining the optimal size, the AFD trademark department can act quickly and efficiently to attend personally to clients. AFD trademark professionals are skilful and highly experienced. Most of them graduated from reputable Chinese and overseas universities and academic institutions with degrees in law or other disciplines. Owing to years of good practice on trademark matters, AFD now works as a council member firm of the China Trademark Association. 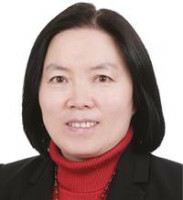 It was also recognised by the Union of Beijing Business Services as a trustworthy agency for outstanding trademark service in the Good List of Beijing Business Service Industry and selected by the Beijing Intellectual Property Office to enrol in the brand fostering programme for IP service providers.